LACMA, the plucky art museum that's been going over a number of ideas to update and expand itself, I rather liked the one overlooking the La Brea tar pits for movie possibilities of bad guys falling into tar pits, has sort of gone in a horrible new direction. The current plan, is to actually make itself smaller and would cost hundreds of millions of dollars. The current plan that many thought was going to expand the museum to 50,000 square feet, will actually lessen its area by 10,000 square feet. 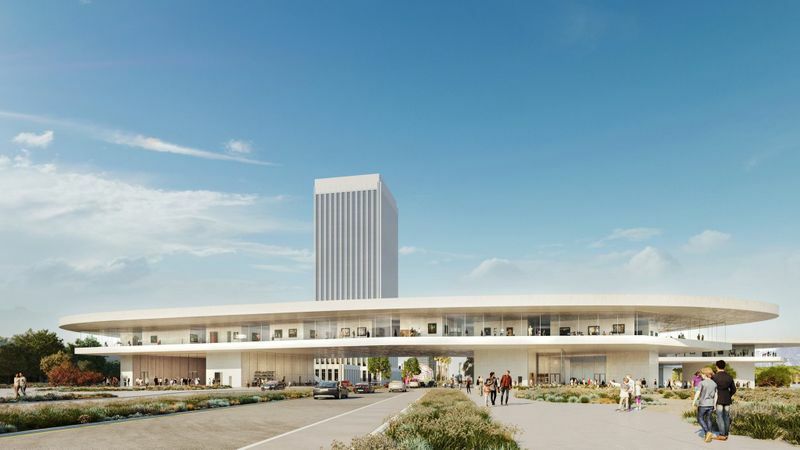 This Tuesday, April 9th, the LA County Board of Supervisors will vote on giving LACMA some of those hundreds of millions of dollars for the plan. Many, such as myself hope they say, "No, no LACMA, bad idea." If you feel the same way, please write to LACMA on their social media. They need to hear your voice, so they don't make a terrible mistake and turn the musuem into a place with less room for the insane amount of art it has.